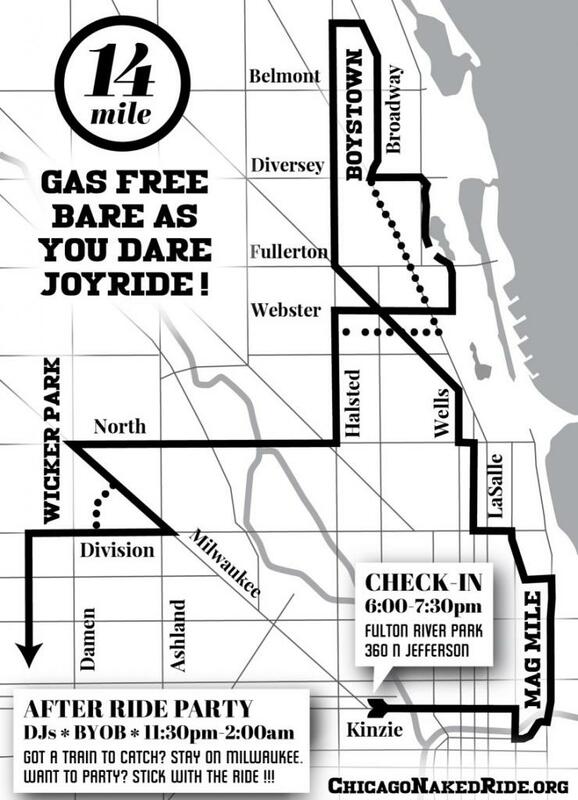 World Naked Bike Ride is a massive public awareness event, promoting freedom from oil and the beauty of people. It happens world-wide since 2004, with Chicago among the largest. Bare-as-you-dare outfits range from body paint to fanciful costumes to undies and less. The ride is extremely joyful and transcendently fun, while important and earnest. WNBRC @BikeSmut @wnbr_greece @ChiNakedRide @BtnNakedBike @WNBRToronto @BfloBikeParty Don't forget about us in Vermont! WNBRC Pics of Lavender rollerblader still available. WNBR Chicago 6-9-18. Email or Chainlink PM. Image subject only! WNBRC RT @olsongetty: Cyclists navigate downtown during the World Naked Bike Ride tonight in Chicago. #wnbrc #wnbr.